Fantastic cleaning without interruptions: With the WV 5 Plus Non-Stop Cleaning Kit, Kärcher, the inventor of the battery-powered Window Vac, is bringing a device to the market which perfects the effortless, streak-free and drip-free cleaning of windows. 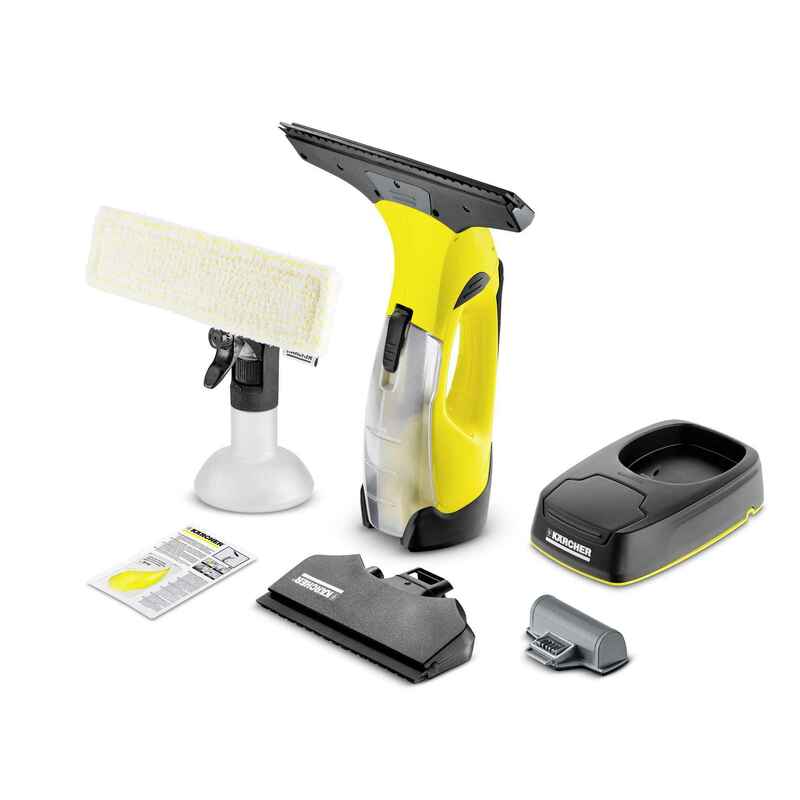 The WV 5 Plus Non-Stop Cleaning Kit offers convincing features. These include battery-powered Window Vac, spray bottle with microfibre wiping cloth, cleaning agent and charging station including exchangable battery. Highly effective, non-stop cleaning is possible thanks to extended run time and a second battery. The clever combination of spray bottle and microfibre wiping cloth makes this a reality. The practical spacers on the suction nozzle allow better cleaning of windows right up to the edges. Another feature is the soft elements on the handle. These ensure that the WV 5 sits better in the hand than devices from the previous range. After you’ve finished cleaning, the individual battery and the whole battery-powered Window Vac can be charged and stored in the accompanying charging station. The dirty water tank can be emptied quickly and easily as required. Energy management made easy: one glance at the LED display will tell you the current status of the battery. 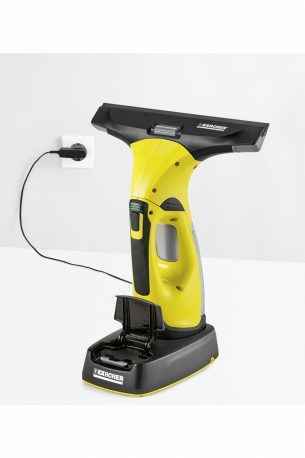 The light weight and low noise level make window cleaning with the WV 2 even more pleasant. The window vac can be used on all smooth surfaces such as tiles, mirrors or shower cubicles.